Let the ATV do the hiking for you on this full-day, guided tour through the rainforest trails. 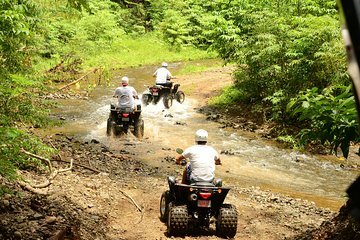 Learn to use your ATV and take a few practice laps before heading out to the muddy trails traversing rivers and paths taking in vegetation and tropical wildlife along the way. Stop for a swim along the way at Herradura Beach and enjoy lunch when you return.